Mansfield Ceramics is the new publisher of Ceramics: Art & Perception (and its sister publication, Ceramics TECHNICAL). It is an exciting prospect joining together these two established and seminal publications. Future issues of these three magazines will be incorporated into a bumper magazine which will provide readers with three different written approaches to ceramics – scholarly, technical and creative – generating fresh insights, challenges, critical commentary and wit. We will encourage the widest possible range of voices from practising ceramists, academics, professional writers and art critics on subjects important to ceramics, and thus provide a platform for discourse, dialogue and debate about ideas important to ceramists. Mansfield Ceramics invites contributors to write about themselves or other ceramists in a way that engages the reader and provokes further thought, so that ideas, often ideas that can only be arrived at by ceramists, can be articulated to an ever-growing audience of enthusiasts and practitioners. We also welcome contributions from practicising artists and art critics. We offer writers a professional editing service and feedback. If you would like to submit an article visit the submissions page for more information and guidelines. Subscribe below for one year using Credit Card or PayPal. You can choose to create your own Mansfield Ceramics account at the checkout to keep track of your subscription. When paying by Credit Card you will still use the PayPal gateway but you do not need to sign up for a PayPal account. 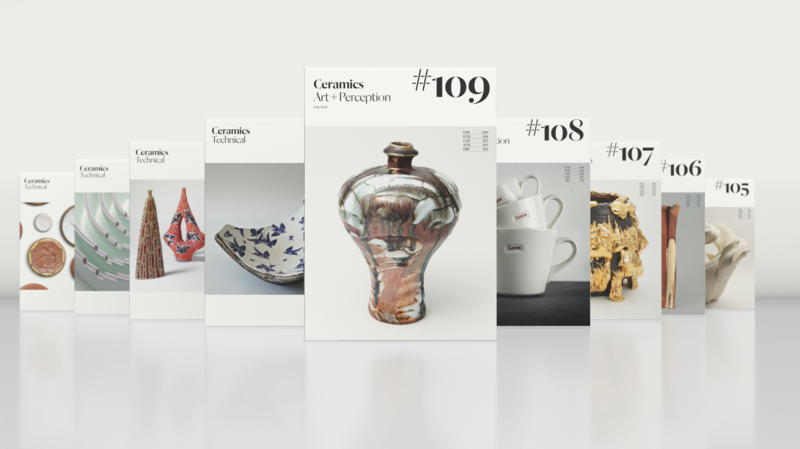 Current subscribers to the print version of Ceramics: Art + Perception can read the digital version by logging in to this site with your email/username and password that you set up when subscribing. The latest issues are available in the Library Section and individual articles can be read on your smart phone. You can even private message the writer. If you do not login you will only be able to read the article abstracts. If you are a studio or group wanting to access the digital version of Ceramics: Art + Perception please purchase the CAP Digital Studio Version (12 months) product from our shop. 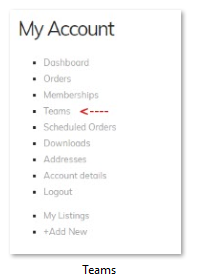 Once you have purchased this product you can manage your team from the log-in dashboard. Click on the LOG IN button at any time to go to the dashboard. You can send email invitations to your colleagues or members to add them to your team. Once they have been added they will gain full access. Please enter the studio name that you would like to use in the Check-out notes. This can be changed at any time. If your institution subscribes through the EBSCO agency and you would like to have digital access through them, you can purchase access via EBSCO-Flipster. Promote your next exhibition or event – for free! Subscribers to the magazine can advertise their next opening, ceramics group activity, residency, event etc by posting a listing with all your details. These listings are free and are posted on our website. 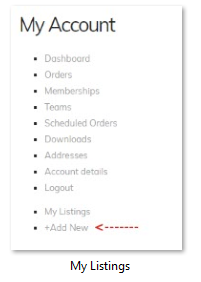 You can manage your Listings from your account dashboard. Click on the LOG IN button at any time to go to the dashboard. Please include a link back to any webpage that includes additional information such as opening dates, Deadlines, addresses etc. Your listing should be approved for publication a day or two after your submission. You can edit and delete your listings from these pages.